We can’t deny that cell phones are now one of, if not the main pillar of our lives. For many of us, our cell phone is the first thing we look for in the morning, with good reasons, Nowadays, a cell phone is no longer solely a communication device, but the center of our entertainment, knowledge, and even business. So, when our cell phone broke down in one way or another, it can quickly turn into a major disaster. Now, when this situation arise, the first (and proper) step we should do is to find a professional to repair the phone, and nowadays we can easily find the nearest phone repair company with Google. Although it is possible to do the repair yourself with the resources available online, getting a professional repair can save the time you will otherwise use to research, prepare, and do the repair itself. Also, don’t forget that repairing the cell phone yourself might void your warranty and you might damage the phone further. Yet, it is also understandable that getting a professional cell phone repair can be expensive. Not everyone of us have our cell phone insured, and admit it, more often than not, our cell phones start acting up just when the warranty period is over. So, here we will share some of the common cell phone repairs you can try yourself, that might be much cheaper than going to a repair shop. The good news is, they are easier than you thought. Obviously, you will need a screwdriver or more to disassemble your cell phone. Now, depending on your phone, you might special screw heads to remove those special screws. For example, iPhones, especially newer ones have special screws that a standard screwdriver set can’t handle. Thankfully, these special screw heads are relatively affordable. The plastic pry tool is useful to separate plastic parts that are pressed together, especially screens. They are also very affordable and you can get them for under $5. For cell phone cameras, there are two common issues that often occur: your glass lens cracked, which is more common, and the actual camera sensor broke down. If it is the latter, depending on your cell phone model, you can often replace the lens without actually removing the camera. If your camera sensor is broken, you win need to get a replacement, which is relatively easy to install, again depending on your model. More often than not, the camera sensor is only attached to a single cable. So, after you can get past opening your cell phone casing, the rest will be a breeze. For most (common) cell phone models, button replacements come in a set, and replacing them are very easy. Fixing your screen can be very cheap or very expensive, depending on whether the screen and the digitizer are glued together, and sold as one unit. That way, it can be very expensive. On models where the glass and digitizer are not fused, you can replace either of them on their own. Nevertheless, replacing your screen is actually relatively easy and save, as long as you are careful. 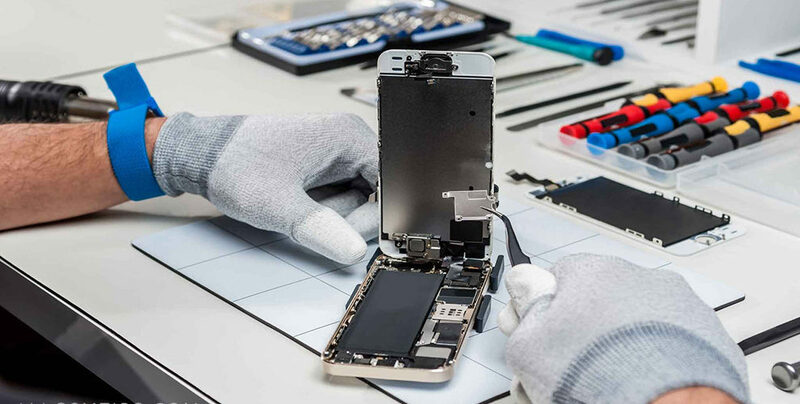 First things first, disassembling your cell phone may void your warranty (if any), and can ruin your phone if you are not careful with your work. So, as we have mentioned, we recommend to first reach your local cell phone repair companies and get help from a professional. There are many online resources available for specific repair guides,ifixit is a popular place to start.